Gary K. Michelson embodies invention and the merging of science and engineering to solve human health challenges. Over time, he’s made it his life’s work to spur others along in the pursuit of elegant solutions to these problems. A retired orthopaedic spinal surgeon whose groundbreaking work generated more than 955 issued or pending patents worldwide, Michelson and his wife, Alya Michelson, donated $50 million to USC to fund the USC Michelson Center for Convergent Bioscience. USC President C.L. Max Nikias, left, presents philanthropist, Gary K. Michelson, M.D. 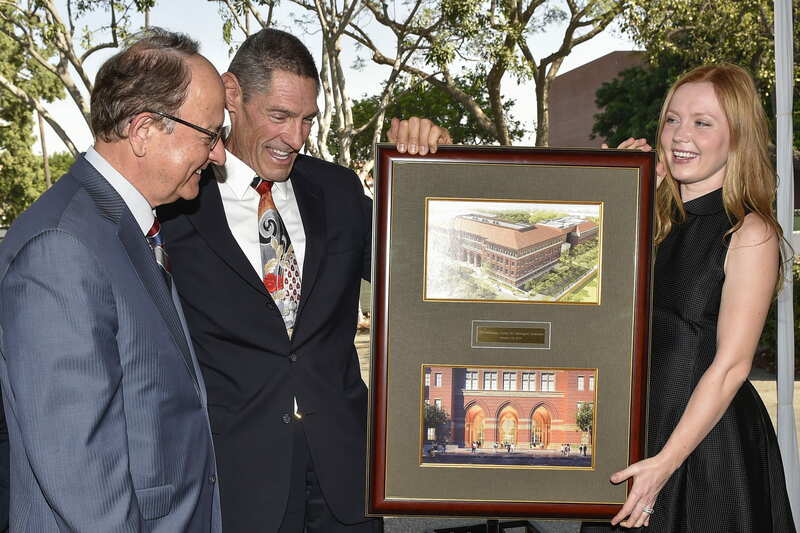 and his wife Alya a framed rendering as a gift during the USC Michelson Center Groundbreaking Celebration. 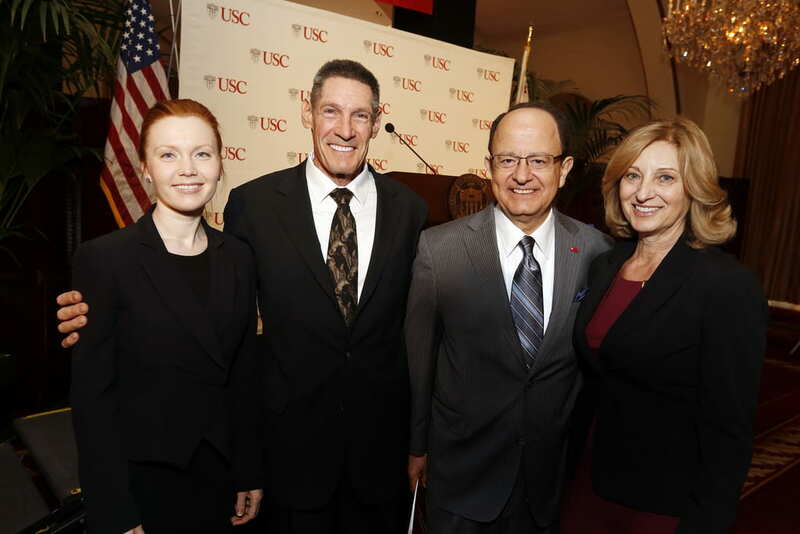 The center will be the cornerstone of a new collaboration between the USC Dornsife College of Letters, Arts and Sciences and the USC Viterbi School of Engineering that aims to transform how research is conducted at the intersection of engineering and the life and biomedical sciences. For more about Dr. Michelson, visit https://michelson.usc.edu/biography/. For more about the Michelson Medical Research Foundation, visit https://michelsonmedical.org/.